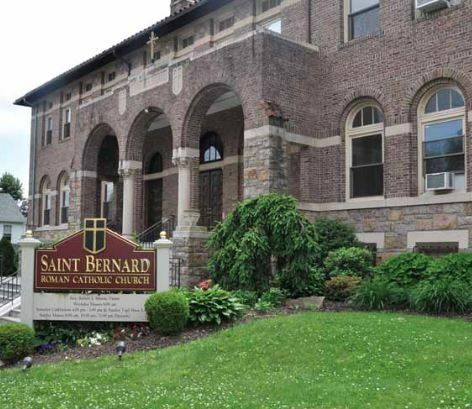 The Eucharist is celebrated daily at the Church of St. Bernard, Monday through Friday at 9:00 am in Chapel Hall. The schedule for the Sunday celebration of the Eucharist is Saturday at 5:30 pm (Sunday Vigil), Sunday 9:00 am (Family Mass), 10:30 am (choir mass), 12:00 pm (Spanish Mass). The children of our parish receive their first Holy Communion in the second grade or after having completed two years of religious instruction in our program. 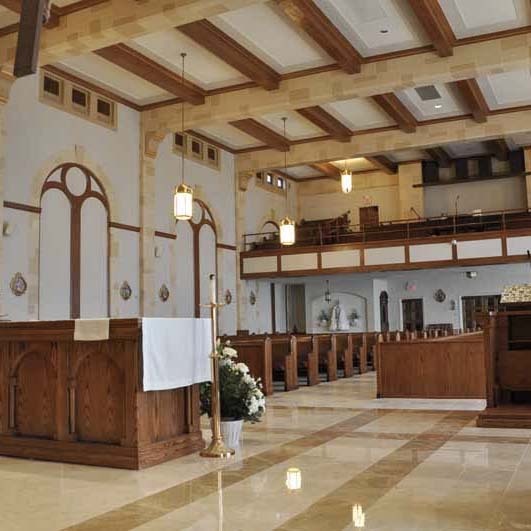 Any baptized adult in our parish, who has not yet received his or her first Holy Communion, is encouraged to participate in our RCIA program so that they can complete their sacramental initiation into the Catholic faith (i.e. Baptism, Confirmation, and Eucharist). Click here for more information. Homebound parishioners can have the Eucharist brought to them at home. 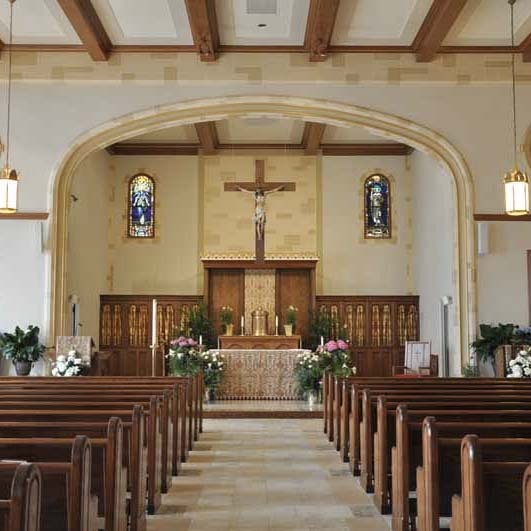 Arrangements can be made by calling the rectory and scheduling a time for a visit by an Extraordinary Minister of the Eucharist or a Parish Priest. At the Last Supper, on the night he was betrayed, our Savior instituted the Eucharistic sacrifice of his Body and Blood. This he did in order to perpetuate the sacrifice of the cross throughout all ages until he should come again, and so to entrust to his beloved Spouse, the Church, a memorial of his death and resurrection: a sacrament of love, a sign of unity, a bond of charity, a Paschal banquet in which Christ is consumed, the mind is filled we grace, and a pledge of future glory is given to us (Catechism of the Catholic Church 1323).